Did You Know? Many subscription plans allow you to extend your Norton protection to multiple devices at no additional cost. Cloud Backups help protect your data if you become a victim of ransomware, malware or if you experience major hardware issues. 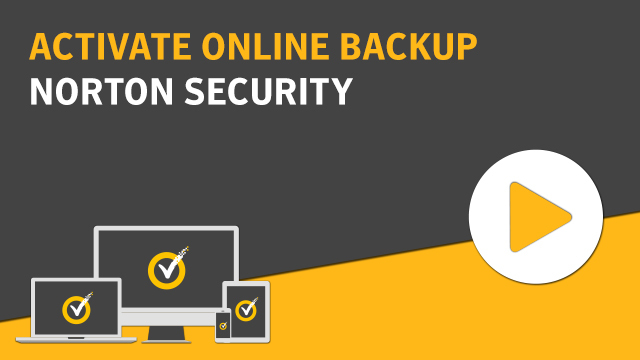 If your Norton subscription includes cloud backup, you get free cloud storage and the option to buy more storage if needed. Norton also lets you save your backup files to your own local storage device. Before running your first backup, you must activate Norton Backup. To use cloud backup, you must set the Network Cost Awareness option in the Firewall Settings window to No Limit. For more information, go to Defining the Internet usage of your Norton product. In the Norton main window, click Backup, and then click Set Up Now. On the Where tab, click Activate for Free. Provide your Norton account credentials when prompted and click Sign in. Click Save Settings and then click Close.